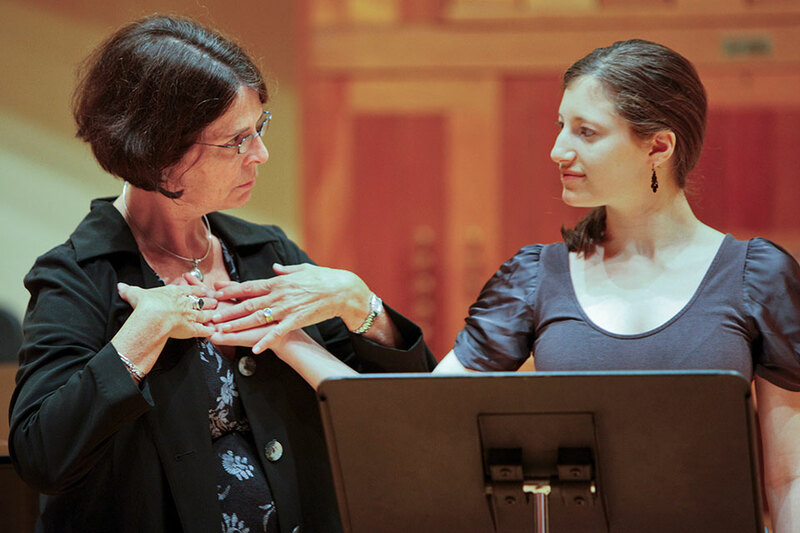 Lessons are taught either by members of the Brandeis faculty or by members of Boston's large and talented community of professional musicians. Lessons at Brandeis cost $700 per semester (for 10 one-hour lessons) for non-majors; music majors pay $250 per semester. Students audition at the beginning of the fall semester. For more information, contact Cheryl Nalbach. Students must register for lessons on Sage (MUS 111a/b for instrumental lessons; MUS 112a/b for voice lessons). Students are encouraged to register for credit whenever possible. The courses are half-credit courses (one year of study is worth one semester course credit), and they have as a corequisite participation in a university-sponsored ensemble. The ensembles are also half-credit courses. One semester of private lessons plus the co-requisite ensemble satisfy the Creative Arts requirement for your degree. Since two half-credit courses are required in this instance, you should contact the Registrar directly in order to count lessons/ensemble for Creative Arts credit.